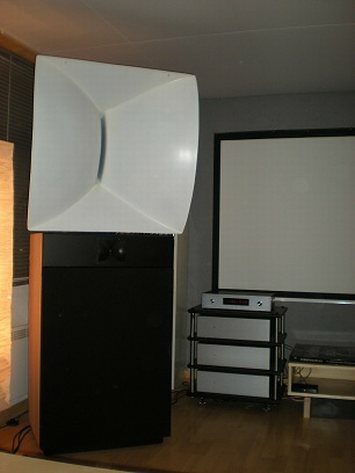 The fascination started with the JBL 4430. Espen was accustomed to big horns in PA systems with the JBL 4560-cans and 2440 drivers on huge sector horn, but JBL 4430 - first seen in one of Oslo's recording studios in the early 80ties - represented the something brand new, in both design and sonically. Dramatic and tough looking, deeply fascinating and special speakers. Never forgot them. The interest in Hi-Fi got on other tracks - EC 25-watt, Dahlquist and Quad electrostatic speakers. And for many years, Hi-Fi sound was a neglected chapter. But the important things in life repeat themselves. Now audio and speaker design has become a fun way to spend time. And	remembering the mythical JBL 4430 now 35 years after - I got myself a pair in the very best way: by building them myself. The 4430 concept fascinated me because John Eargle, David Smith and Don Keele created something very new in 1981: lots of patents and white papers. 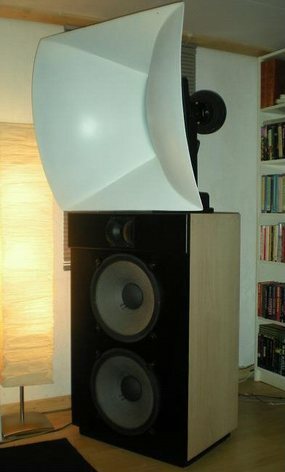 This must be one of the most well documented speaker designs in history. People, who has the interest in DIY, likes to make new speakers etc. - just take a look at the forums - like Audioheritage. The JBL 4430 concept has been copied or repeated and further developed in countless new varieties and I have tried many myself, but the original concept is so pure, simple and complete as it is that one has to make an entirely new speaker to really improve beyond the original 4430. But it's possible to be inspired. The idea of a CD-horn that covers a wide frequency range is the good. (Constant dispersion pattern over a large range). Why not let the horn go further down in frequency? Surely good: bass unit can be pushed up to 1kHz, but... How about using a 2 "driver - smoother, cleaner, more comfortable and effortless? The fact that a 2 "sounds better than a 1 " was something I remembered well from my PA days. Could have been fun to see if it's still true. Does a 2"drivers need is a super tweeter - yes, it does and actually the 1" driver in 4430 also needs a super tweeter? The biggest and toughest JBL constant-directivity horns-is 2360. They reaches down to 300 Hz, with constant dispersion from 500Hz. A little heavy, though. 80x80 cm mouth area and about 1 meter deep. I bought a pair on eBay when I was in a weak state of mind. 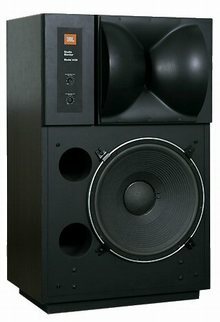 I bought a pair of JBL 2445 as well. Listening tests showed that first impressions: These horns have an ability to "fill the room" which is indescribably wonderful. JBL titanium diaphragm sounds maybe a little bit hard, but they also have a lot of detail. The fact is that a super tweeter is needed for this purpose I tested both JBL 2405 diffraction horn tweeter and the JBL 2404 Bi-Radial horn tweeter. Both sounds excellent, but with 2360 I prefer the 2404. 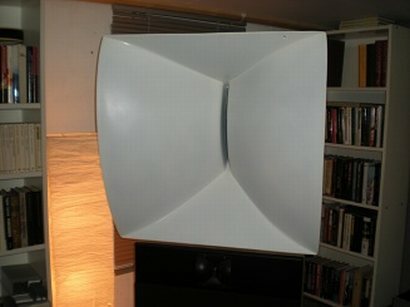 The concept of the new loudspeaker begins to feel right. Experiments indicate cross points at 500Hz and 8 kHz and 4th order filtering. Experiments and measurements of different membranes for the 2" driver end with the membrane from JBL 2450SL, which is a standard titanium membrane coated with Aquaplas as the best sounding combination. The current JBL 2" drivers are mounted with standard titanium membranes, which I have coated with 4 x Aquaplas. The bass section is 2 x JBL 2226 in a 240 liter reflex box tuned at 30 Hz. This gives an over dampened and falling SPL in deep bass, which is easily compensated with a little EQ on center frequency. In this case you can give pretty much EQ without cone excursion increases that dramatically). Used this way, the JBL 2226 a much more powerful and "better" than drivers such as 2235 or 2234, and will in practice go just as deep. Flat down to 25 Hz in my living room. In many ways passive filters are fine stuff. 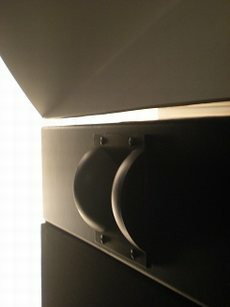 I have built a ton of speakers with passive filters, and many of them really are performing well. But active crossovers have many advantages - especially for bass loudspeakers (lots of power) - you don't want the series resistance of the coil in the low pass filter. After realizing this I switched to an active crossover of the subwoofer, with a filter from Bob Ellis. But one drawback of active filters is that they basically introduce more noise. In fact it is a bit too much noise with 110dB / W efficiency horns. So at this point I still used passive filtering between horn and the super tweeter. Eventually, I converted to a digital crossover. The really big advantage of DSP processing is that you get far more filter options than you have with passive or electronic analog filters. The downside is that you often have to accept an additional AD-DA-conversion. Many are skeptical about digital correction - to begin with me too. Using a DSP it is easy to correct phase / delay. It's not impossible to correct phase / delay in passive filters, but it's hard. The DSP is a breeze. In my speakers, the driver membrane of the midrange is 95 cm behind the membrane of bass drivers. This corresponds to a time frame of 2.8 milliseconds. I'm pretty sure this is audible, and that this is one of the things that make construction / integration of loudspeakers with horns difficult. So which DSP device (with sufficient flexibility, options and quality) should one choose? I bought a DBX Drive Rack 260 in the first round probably because of my past with PA and studio gear. Although the DBX unit (in contrast to many other DSP's) have some customization to the gain structure by setting of internal jumpers, it still isn't really good without a 6-channel volume control on the output of the DBX. And another thing- the DBX does not have a digital input. In spite of this, I still think that it sounds significantly better than passive filters. 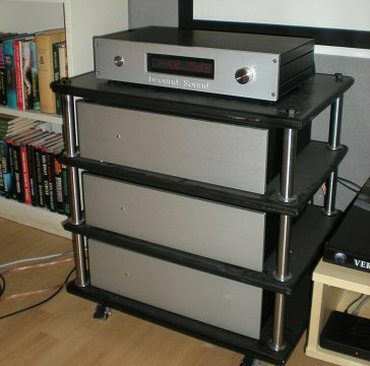 The latest upgrade is a new Digital Preamplifier / DSP - Ground Sound DCN28. I also considered DEQX, but I chose DCN28: mainly because of multiple inputs and outputs (2 analog, 4 digital and 1 USB input, 8 channels), and balanced outputs as standard. Ground Sound DCN28 is a capable tool. In my setup it replaced 2 DAC's, a Bryston preamp and the DBX. It has digital inputs and 8-channel analogue volume control. It is no art to achieve proper gain structure - all tendencies I may have had in the past to the noise / hiss is now completely gone. Now it is finally 100% noise-free! Software for measurement and generation of filters is very good. It is comprehensive and it takes time to familiarize oneself with all the possibilities and to use it properly - but I think it is a great advantage to be able to work in an integrated and interactive environment (with measurement, optimization and generation of filter parameters integrated in the same system). The way DCN28 builds filters is very similar to the method I have been accustomed to working with crossovers in the past. "First impressions are very good. Installing the drivers and software was a breeze." "This is very impressive. I have designed some filters based upon old measurements (which I finally figured out how I was going to import). I think the software looks extremely good. There are options for just about everything (compared to what I'm used to there are many very useful features in capture tab and optimizer is lightning fast. Although the software is complex and extensive, the software is pretty user-friendly. But DCN28 is an advanced unit, which probably requires some prior knowledge of the user." 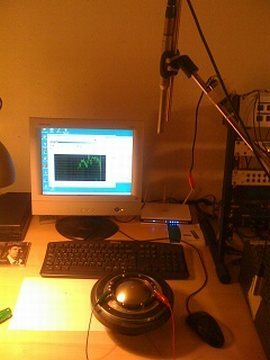 "Has now made some proper measurements and designed a setup from the scratch. Got a very good frequency response and completely correct phase at the crossover points. The "Optimize delay" feature is very useful. Very good - this is very promising! This is going well!" "I'm starting to get pretty familiar with the XOverWizard and measurements and layout in general. I have made some very good sounding filters, and in addition also experimented with various "target curves" - BBC dip, Blauert curves, etc. (it is not necessarily always a flat response which is most correct). This is easy with 4 presets." "I have made good and usable measurements and used the facilities in the program to "remove room". Within Capture tab there is a wealth of possibilities, and here I have yet much more to explore. " "the tabs of target curve and optimization is easy to use and works well. Optimizeren is also very fast." "I'm going to spend some more time to optimize all the parameters that I can control through DCN28. But already now I'm quite sure: The speakers have never sounded so good as now. The sound is huge and very dynamic, and both warm and detailed at the same time. Both Allison Krauss and The Who sounds fantastic. There is absolutely no noise or other artifacts in the sound." 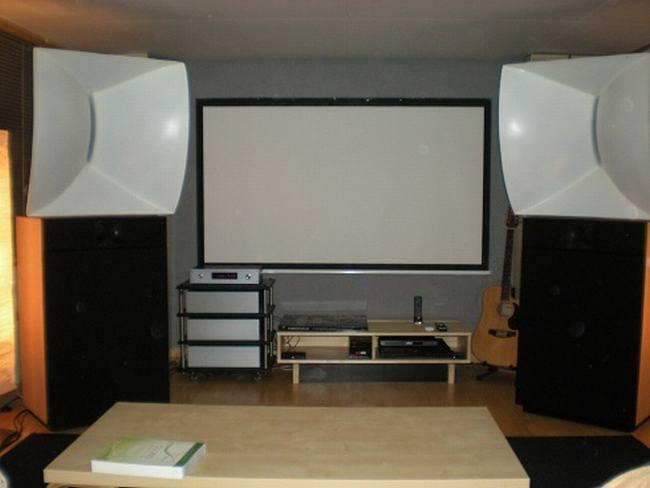 "Already I have started to plan the next speaker project: 4-way system with 15 "JBL bass, 10" JBL midrange 2123H, 2 "compression driver JBL 2445 with Truextent Beryllium diaphragms TAD TH-4001 horn, and JBL 2405 super tweeter. I have already obtained all the parts, but I can't start the building process until spring comes..."
Looks like we will see more fun stuff from Espen !! !